Federal Reserve Chairman Ben Bernanke's press statements on June 19 not only made it clear again that the Feds would be unwinding their ongoing purchasing of mortgage-backed securities, it also set off a tidal wave of response in the public markets that started with the opening market bell. Stocks and bonds immediately erupted today in a sell-off, and commodities were pounded as well. Gold drop below $1,300 per ounce for the first time in years as institutional traders liquidated heavily. It is clear in everyone's minds that rates of all kinds will be going up, making everything from borrowing to holding market positions more expensive. In immediate reaction, the 30-year mortgage rate average rose to 4.25 percent yesterday on the news, signaling the days of 3 percent range, inexpensive borrowing is pretty much gone for now. Those borrowers who locked rates earlier this week before the Federal Open Market Committee met probably saved themselves thousands of dollars in interest charges doing so. Bernanke's statement actually applied a date to the Fed's pullout, mid-2014. So, not surprisingly, the rate world began compensating for the expected risk increase early. However, while everyone now agrees the markets are in a "rising rate" environment, no one is taking the committed step to declare 3 percent loans are forever gone now. That leaves hope for some optimists who think the Feds will step back in with government money if the economy slows down too much with higher interest rates. As a result of today's ripple effects from the June 19 statements, the 30-year mortgage average is now floating between 4.25 percent and a potential 4.3 percent on the high end. The 15-year counterpart is now hitting 3.5 percent with outliers, eliminating any chances of lower opportunities. 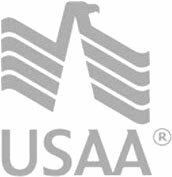 The FHA/Veteran's Administration loan rate holds onto 3.75 percent but is also under pressure to rise. And the 5-year adjustable average is at the high end of 3 to 3.25 percent.